Spotify is now available on Xbox One, allowing millions of Xbox One gamers to choose the perfect music from Spotify to provide a fresh gaming experience every time. Whether you’re battling hordes of enemies, scoring the winning goal or just enjoying the scenic routes of your favourite open world game, the greatest gaming experiences all have one thing in common – a majestic soundtrack. The perfect soundtrack can take you back to reminisce about moments of gaming triumph, or get you fired up for the next big challenge ahead. The new integration means that millions of Xbox One gamers can soundtrack their own gaming sessions using Spotify, to make every single session feel new and unique. By downloading the Spotify app from the Xbox Store, you can choose your personalised gaming experience. You can choose from your saved music, search the full Spotify catalogue of 30 million tracks, or browse the pre-curated gaming playlists in the ‘Gaming’ hum. To celebrate the launch of Spotify on Xbox One, Major Nelson has curated a playlist which includes tracks from Fallout 3, Skyrim and Grand Theft Auto. Whether you are a free or Premium Spotify user, you will be able to play your music on demand with your Xbox One controller. 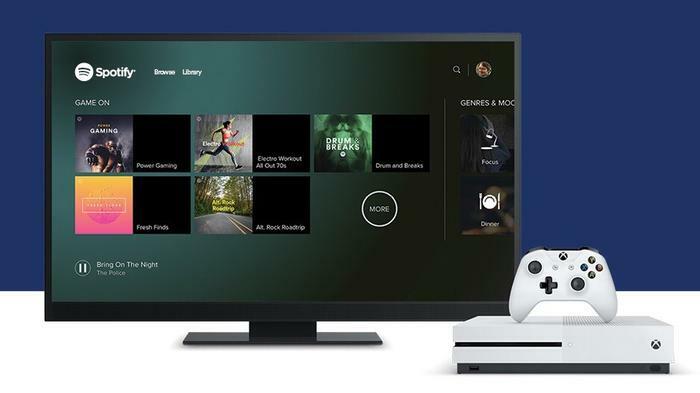 Or, if you are worried about interrupting your game, you can also control playback on your Xbox wirelessly from the Spotify app on your phone, tablet or desktop using Spotify Connect. Visit spotify.com/xbox to find out more.